Your vacation isn't complete without spending some time on the glistening water of the Chesapeake Bay. These Eastern Shore watersports are some of the best ways to do it! Check out our local tips on boat charters, marinas, jet ski rentals, and more so you can explore the Bay like a pro. 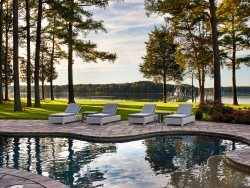 Then, find your ideal property and get one step closer to enjoying all of these exciting Eastern Shore activities on the water. We have a wide variety of vacation rentals to help you explore the beauty of the Bay! Get all the information you need right at your fingertips with these handy guides. They are full of tips on where to go, what you will see, and how to get there! Whether you are launching a boat or you simply need a place to rest and refuel, there are plenty of marinas on the Eastern Shore. Find the best one near you!